The bomber suffered a problem with the ejection seat. USAF orders B-1 safety stand-down. The Air Force Global Strike Command commander ordered a safety stand-down of the B-1B Lancer fleet June 7, 2018. The Safety Investigation Board is ongoing. The SIB’s purpose is to prevent future mishaps or losses and is comprised of experts who investigate the incident and recommend corrective actions. 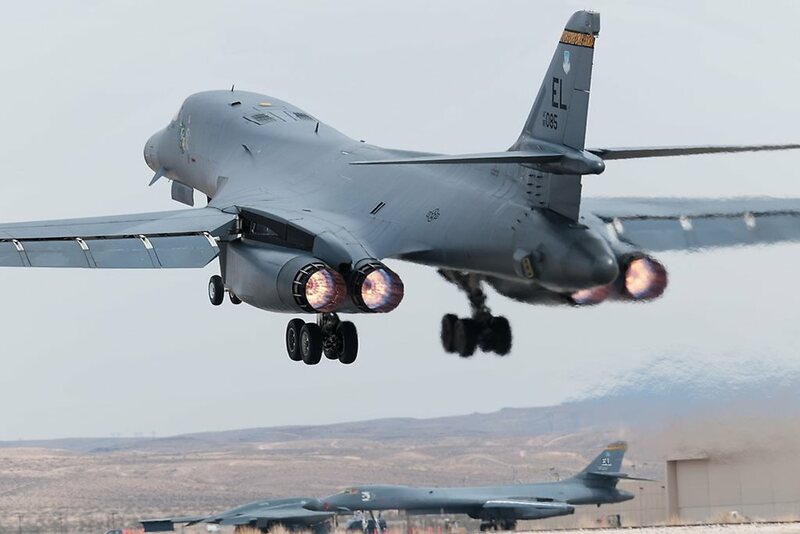 Two B-1B Lancers from Dyess Air Force Base, Texas, are currently deployed at RAF Fairford to take part in the exercise BALTOPS 2018 started on June 1. The bombers flew strategic missions during the first days of the exercise. They dropped inert Quickstrike Mark 62 mines, providing U.S. and coalition military forces the opportunity to train for the laying and recovering of mines. The inclusion of bombers in this exercise has been long-planned to provide an opportunity for bomber crews to integrate and train with other U.S. European Command components, while exercising the United States’ key bomber capabilities. Probably the BALTOPS 2018 will no longer include the B-1s as it will end in a few days.